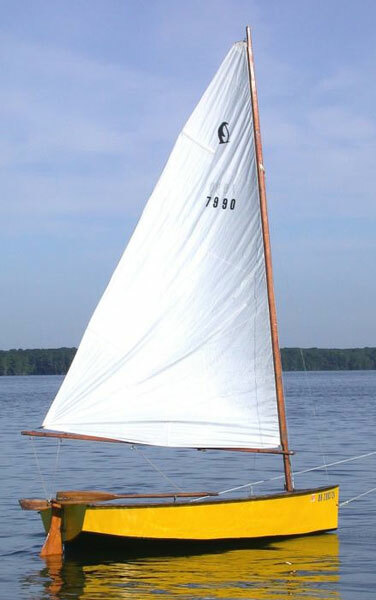 Philip Rhodes designed the Penguin Class dinghy in 1939. Fred Kaiser of Clinton, NY, built this particular Penguin (#7990) from a kit in 1966 for his daughters to use. Richard Ellers of Warren, OH, restored the dinghy and re-launched her in the summer of 2003. He writes that 95% of the wood is original and in good condition, and that he found seven different colors of paint on her hull. Contact Richard at RichardGEllers@aol.com.